Every single day, your garage door is hit by the damaging rays of the sun for hours. At GARAGA, we want to make sure that isn’t a problem, so we ensure our doors are durable and reliable. They will look as good years from now as it does the day it was installed. When you choose our garage doors, you can expect us to go above and beyond, including thermal breaks and weather stripping so that you never have to worry about those cold New England winters. There’s a rule of thumb – a garage door is only as good as its installation. 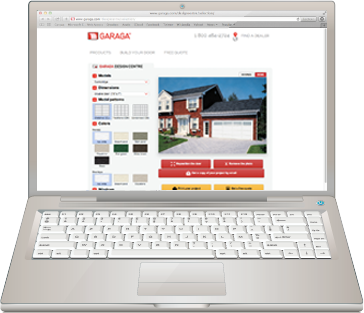 So, here at GARAGA, we offer customers a whole network of certified installers available. 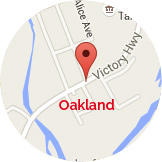 When you choose us in Oakland, RI, you will enjoy over 100 years of combined experience for the best results. What other customers from Islip area say about Garaga? The quote was detailed and thorough with many options given to help us choose the right one. The rep was well-informed and went to lengths and explained current door technology. The installation was fast and efficiently done. I would totally recommend this company to others! When making home improvements in New England, replacing the garage door is one of the top three options. There’s a cost value study done by “Remodeling” magazine. It looked at midrange products including replacing a garage door. The average cost to do this in New England is $1.674, and homeowners can expect to recoup about 84% of that when they sell the home. Upload a photo of your own home and see just how the finished product will look. We don’t approach things the same way as other salespeople. You will never find us tricking you into buying the most expensive products. Instead, we will do our best to meet your needs based on the options you like. And we will respect your budget too. When you let us help you make a garage door choice, then you never have to worry about being rushed or pressured. We all have to worry about intruders getting into the house, and you don’t want your garage door being a weak spot. LiftMaster garage door openers mean you don’t have to worry about this anymore. These openers offer the utmost in security and safety so that you can enjoy a reliable system. At GARAGA, we offer LiftMaster products because we believe in choosing only the best. 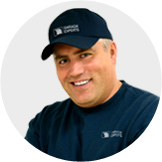 GARAGA has chosen professional, friendly and knowledgeable installers and technicians to handle your garage door needs. We always do our best to put customers first and we strive to offer the best in customer service. We always consider budget, preferences, and needs. Our technicians will handle installations with knowledge and precision. 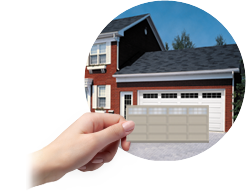 If you are ready to ensure your garage door is operating smoothly and safely, then get in touch with our dealers. We will send a team of experts to make corrections as needed.